Undoubtedly one of the Eternal City’s most prized boutique hotels offer the luxury of a five star hotel and charm of a private manor. It virtually borders the magnificent Villa Borghese Park, granting discerned travellers a most serene ambience, atypical of the otherwise vivacious city. At one time, a Patrician villa, the property today is a newly renovated hotel. It presents 32 guestrooms and suites, equipped modern amenities, deluxe marble baths and in most instances, a balcony and/or terrace. 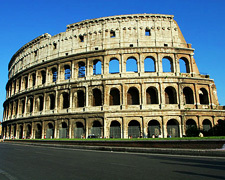 Travellers wanting to be close to the centre of Rome but slightly away in a more quiet residential area. 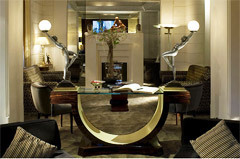 The hotel has a unique Art Deco inspired style and was formerly a palatial residential townhouse. The hotel has a limousine service. The concierge can arrange a service to and from the airport, train station, etc. The hotel has a valet parking service.